Things have started to heat up today in the Samsung Galaxy S6 territory with the device looking to have made a first appearance in Samsung’s official tutorial video for the Knox app in Google’s Play Store. Take a look at it here. Well, we have more news for you today when it comes to the Galaxy S6 and Samsung’s plans for the device at this year’s Consumer Electronics Show which will kickstart soon. Folks over at SamMobile, who generally have the most accurate scoop when it comes to Samsung devices have posted more updates about the Samsung Galaxy S6 today. 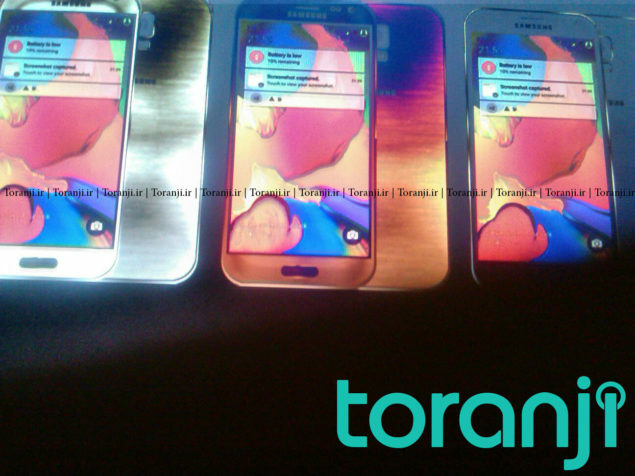 Samsung Galaxy S6 And Variants To Be Displayed at CES – To Select Partners Only. According to SamMobile, the Samsung Galaxy S6 and its variants will indeed be making an appearance at the CES. But that shouldn’t be a cause of excitement for consumers since the Korean giant will be showcasing the device to select partners only – and not to the general public. This could point at potential Samsung efforts to keep its partners in the loop about its next generation devices and to maintain their confidence levels after struggling in the market last year. There’s also no new news on whether the Samsung Galaxy S6 ‘variant’ will indeed be the dual edged note variant of the device that we’ve been hearing about so far. Interesting news nevertheless, but by the looks of things the Samsung Galaxy S6 is out of the race for devices to appear at CES. That doesn’t mean that the Koreans won’t be making an appearance however. And you never know. Samsung might decide to pull one over and debut the Galaxy S6 within the next couple of days. Stay tuned. We’ll keep you updated as this develops and let us know what you think in the comments section.